Blue Jay Cabin -Free 2 hour Bike/Kayak Rental! Spectacular views of the valley!! Newly remodeled cabin - two bedroom plus bonus room, one bath cabin with a wood stove fireplace, FREE WiFi, cable TV, and DVD player. 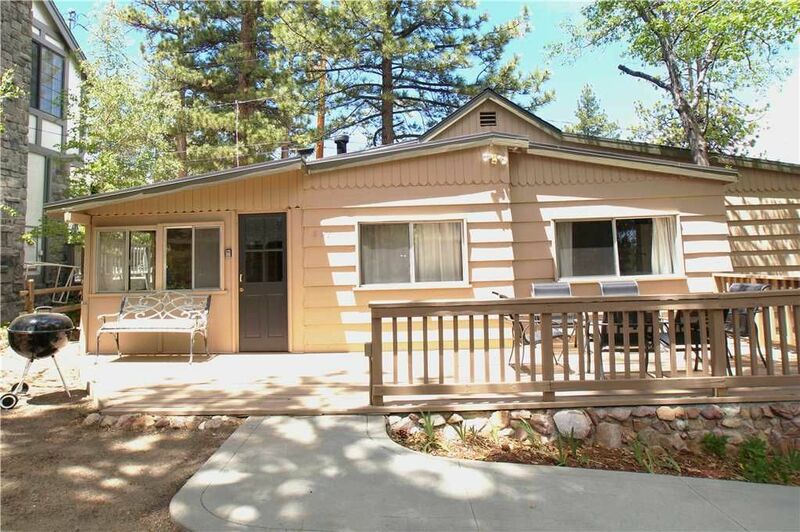 Fitted with all the conveniences of home, Blue Jay Cabin has a full kitchen with granite countertops and new appliances - stove/oven, refrigerator, microwave, blender, toaster, coffee maker, dishes, pots/pans, and more. This cabin includes a patio and charcoal barbecue. Walk to shops, restaurants, and the Alpine Slide for year round fun.